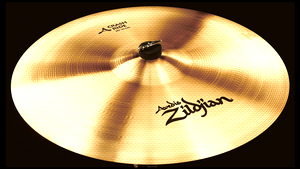 KitMonsters – Zildjian A 20” Crash Ride. The music makers’ guide to making music. The A series 20” Crash Ride is made from cast bronze and has good ride definition and light crash qualities. It is medium thin with a traditional finish and large bell size. It has a low to mid pitch and mid sound with loud volume and long sustain.